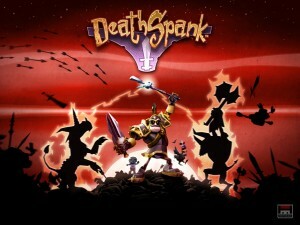 In this week’s episode we are discussing Deathspank, Lego Harry Potter Years 1-4, Little Big Planet 2, DC Universe Online & more Comic-Con goodness! Deathspank: Nicole/Kim/Stephanie – Buy it!!!! University of Central Florida has received a grant to develop a video game to potentially help girls deal with peer pressure. Amazon Gold Box has amazing deals everyday for Video Games! Don’t forget if you want to enter the Video Game Music Quiz Contest for a chance to win a VIP PC Beta Access Key to DC Universe Online, you will need to send an email to contest @ ladiesofleet.com, include the answer to the 1 video game audio that were played during the show. The answer to quiz and the winner will be announced on the next episode of Ladies of Leet! Good Luck!!! Nicole has also created a couple of Firefox personas for both LoL & ExtraLife. Check them out here! She’ll be adding more of the FrogPants family to this location so keep checking for new personas! Also check out StickyLife if you are looking to get some awesome stickers made. Use the discount code LADIESOFLEET and you will get 25% off your entire order! Nicole, Kim & Stephanie will be giving out LoL stickers (thanks StickyLife!) at DragonCon in September, but if you can’t make it, you can also buy them at Nicole & Marc’s store they set up for their other site The Wood Whisperer. http://ponged.com is a pretty neat site for little flash games. try sushi cat, it’s a fave of mine. i think all the games on ponged are solo play though.